Charles Camosy’s work as a pro-life Democrat was partly shaped by a controversial commencement speech from a former president. He graduated from Notre Dame in 2009, the same year Barack Obama delivered the commencement address. There was backlash to Obama’s appearance from the Catholic community on campus due to Obama’s positions on abortion. “I left that really difficult situation thinking that we need to find ways to overcome polarization because it was literally tearing the Catholic world at the time,” Camosy told The College Fix in a recent phone interview. He described how friendships were ruined and a demonstration was held during graduation due to the culture war that engulfed the campus over the appearance of a pro-abortion politician. He knew people who didn’t fit into the culture war, and he wanted a new way to think about cultural conflicts. “That was kind of a launching point for me to say that I want to make my career about this, to show how a Catholic ethic and a Catholic moral vision doesn’t really fit into these culture war categories and can actually be a way through some of them,” he said. 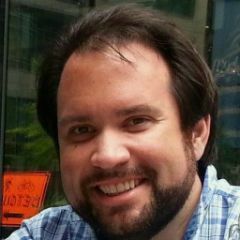 Camosy is an associate professor of theological and social ethics at Fordham University, and also a board member of Democrats for Life of America, one of the most prominent pro-life advocacy groups associated with the Democratic Party. “He is a registered Independent — but strongly supports the mission of DFL, especially its comprehensive, bipartisan approach which refuses to choose between women and prenatal children,” his bio reads on the website. Like his bio says, Camosy is a registered independent, but agrees with many of the Democratic party platforms. It’s this relationship that makes Camosy unique in highly polarized times. Camosy acknowledged that his pro-life views put him at odds with much of the Democratic movement. The pro-life caucus has been decimated within the party, but that isn’t enough to get him to switch allegiances to the Republican Party. At the same time, he doesn’t want Republicans to be the default party to support and give pro-lifers nowhere else to go. He also explained that an essential part of being pro-life is giving women the resources to choose life, and he said that Democrats are “light-years” better than Republicans on this issue. “I don’t support Donald Trump but it was heartening to see him talk about paid family leave,” Camosy said, referring to Trump’s State of the Union address. “I do think we ought to focus not just on abortion supply and trying to reduce abortion supply by passing laws that reduce its availability, but also address abortion demand,” he said. Camosy hasn’t been afraid to criticize the left side of the aisle publicly. For example, in a New York Times opinion piece, Camosy criticized the Times editorial board’s series on abortion. “The New York Times editorial board, for instance, recently used the phrase ‘clusters of cells that have not yet developed into viable human beings,’ in a discussion of rights being extended to a fetus in the womb, or what I call a prenatal child,” Camosy wrote. In a column for The New York Daily News, Camosy took aim at New York state’s passing of the Reproductive Health Act, a bill the pro-life movement criticized due to its expanding of abortion rights to include third trimester abortions. “It has always been difficult for abortion activists to explain how they can consider a fetus a mere object to be killed and discarded in an abortion context — while in other legal contexts she can be considered a human being who is killed via homicide,” he wrote. The way we switch our language in this culture makes people easier to disregard and throw away and kill, he said, specifically pointing to the use of language that strips undocumented immigrants of their humanity. He complimented the intersectionality movement for highlighting how the use of language can dehumanize. “We misname vulnerable populations in a way that helps us strip them of their dignity,” he said. He added that he believed that abortion should be a focus for the intersectional movement. “Isn’t the fetus the paradigmatic marginalized population?” he asked. For Camosy, the pro-life movement means more than just opposing abortion. 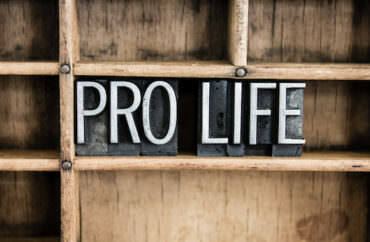 It means expanding the definition of pro-life to other areas, without diminishing the importance of abortion.